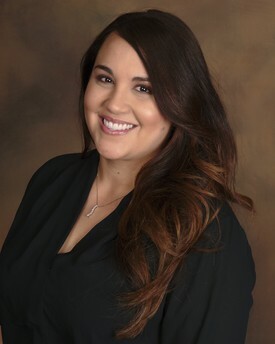 Meet The Team | Yucaipa, CA | Hilda Yacoub, D.D.S. My interest in dentistry started when I was only 15 years old and I was helping my orthodontist in his office. I attended and graduated from the ROP dental program in Riverside shortly after deciding this was the career for me. I enjoy everything about the dental profession, especially caring for patients and making sure their individual needs are met. In the time I have been working in Dr. Yacoub’s office I have seen how important quality patient care is to her and to her entire staff. I appreciate how welcome they make their patients feel and I see the value in why preventative dental care is so important to Dr. Yacoub and her staff. I love that Dr. Yacoub and her staff treat their patients like family and genuinely care for them. My goal is to make sure your experience in our office is as comfortable as possible and to answer any questions or concerns you may have. My wonderful husband Michael and I have been together since 2001. We have two beautiful children, a daughter and a newborn son! I enjoy spending time doing anything and everything with them from visits to the park to our beloved regular Disneyland trips. I also enjoy reading and scrapbooking. My passion for the field of dentistry began when I was in college. Seeing how the aspects of prevention, education, and science came together in this career interested me, along with the variety of service and volunteer opportunities in the field. 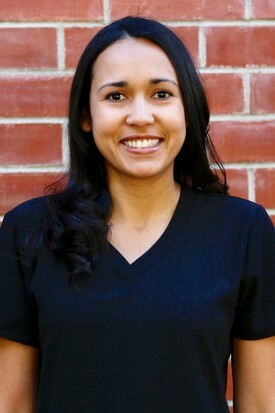 This led me to travel from the East Coast, where I grew up to California, where I graduated from Loma Linda University School of Dentistry in 2012. During my time at Loma Linda University I was able to take part in many mission trips, including one that took me all the way to Bangladesh. After graduating, I have been able to continue being active in volunteering by making frequent trips to Mexico where I have had the opportunity to provide Dental cleanings and education at orphanages. When not working I enjoy being active and spending time with friends and family. I grew up on the East Coast and the majority of my family, including my parents, older brother, sister-in-law and adorable niece, still live back East, which takes me back there often for visits. I love traveling to new places near and far. The beach is my happy place, and I also enjoy running and hiking. I'm glad to be part of Dr. Yacoub’s team which focuses on patients and high quality of care. My goal for our patients is to create a relationship that makes each person comfortable when visiting our office while providing them with the best, most personalized care I can. Staying up to date on the latest research and being a life-long learner is important to me so that our patients can benefit from it. I look forward to meeting each of you and helping to keep your smiles beautiful, happy and healthy!